Welcome to AGR Recovery Specialists! AGR Recovery Specialists is a professional and experienced repossession company that pursues and recovers collateral for banks and other lending institutions. We are fully licensed, bonded, and insured. In addition, AGR Recovery Specialists, Inc. believes in continued education within our industry, therefore we are members with FLACARS, Allied Finance Adjusters and RISC. We provide your company with honest, swift and accurate recovery for all of your collateral recovery needs. Laptops are installed in every recovery vehicle to facilitate faster updates and keep you, the customer informed at all times. Documents can quickly be sent to any of our recovery specialists at all times. Our staff is at your disposal 24 hours a day, 7 days a week to assist you in any way. We work hard to provide each of our clients with excellent customer service and look forward to doing business with you! 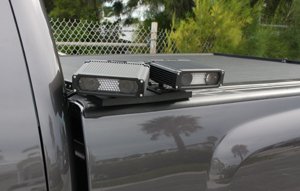 DRN License Plate Recognition Technology!